Learning to ride or improve your skateboarding skills with family members, friends and peers can be a whole lot of fun. 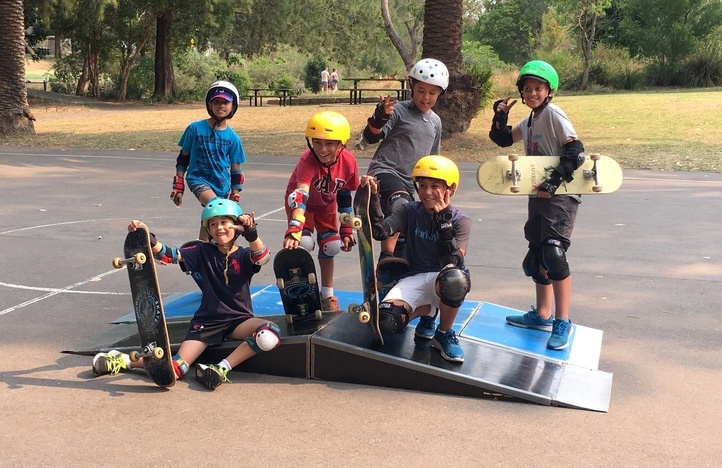 You can have a blast with your skate buddies and meet new friends, all while getting professional skateboarding guidance at a more affordable price. We have a few different types of group lessons including private lessons for friends and family and open lessons with designated times. We also host group lessons and clinics for schools, youth centres, afterschool care, and school fetes etc. same time so mixed groups are fine.